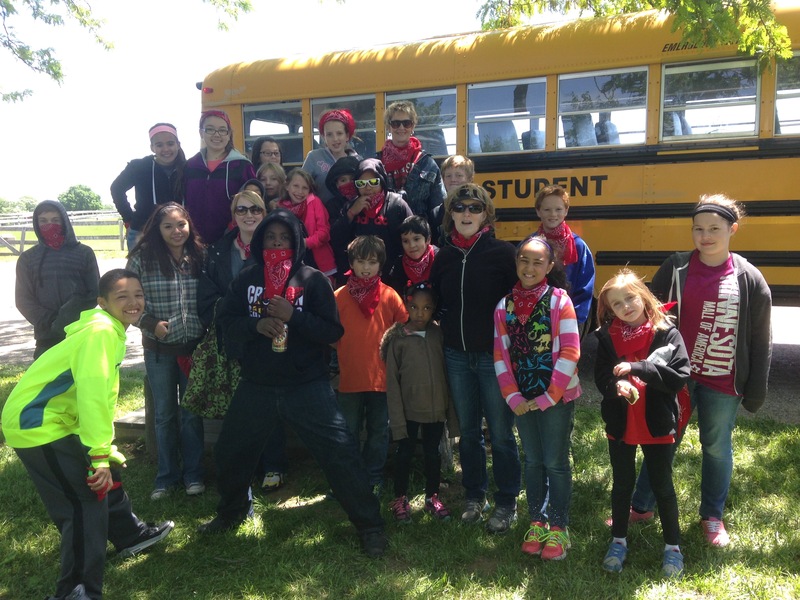 Just before school ended, Phoenix Academy rounded up our students for yet another successful Ponca Hills field trip. This year, the school was divided into 4 groups, The Red Chestnuts, The Yellow Palomino’s, The Overo Orange’s, and The Black Stallion’s. 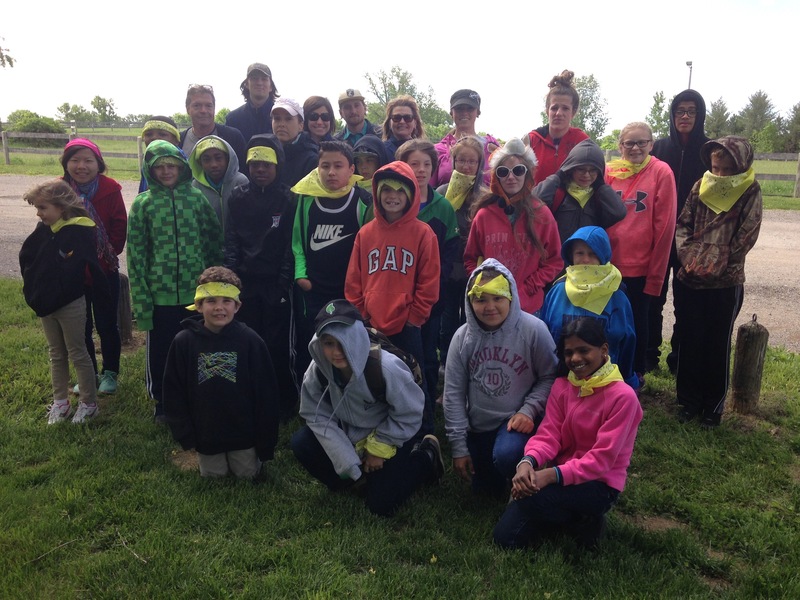 Each group had a corresponding bandana. 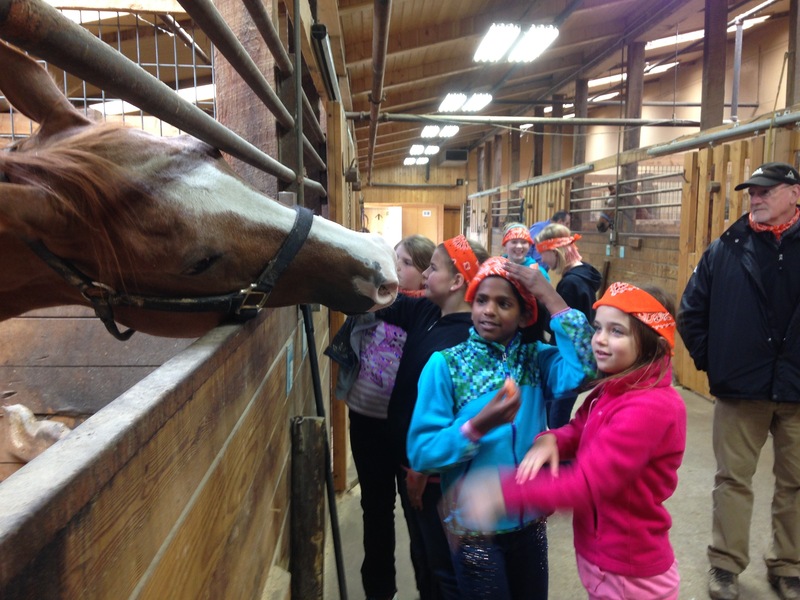 One at a time the groups went on a hike, a hayrack ride, a barn tour, and crafts. 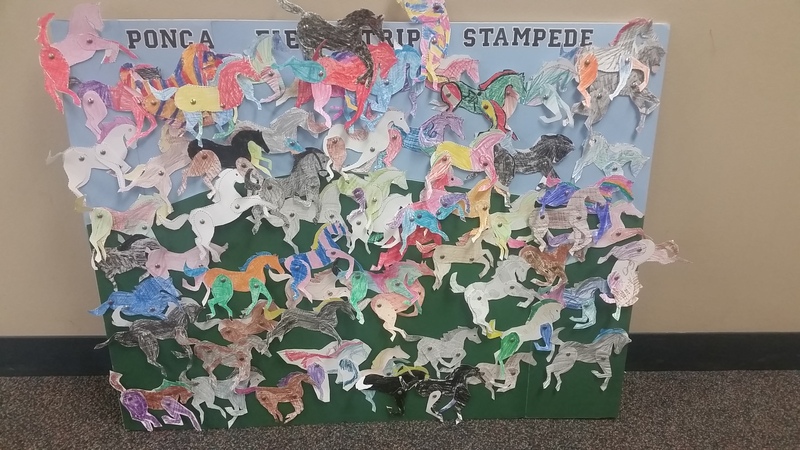 The craft was a paper horse and we brought back a large poster with a Phoenix Academy stampede! Thanks Miss Sheila, from Blooms, for helping us with crafts. We enjoyed a cookout with hot dogs, chips and lemonade. 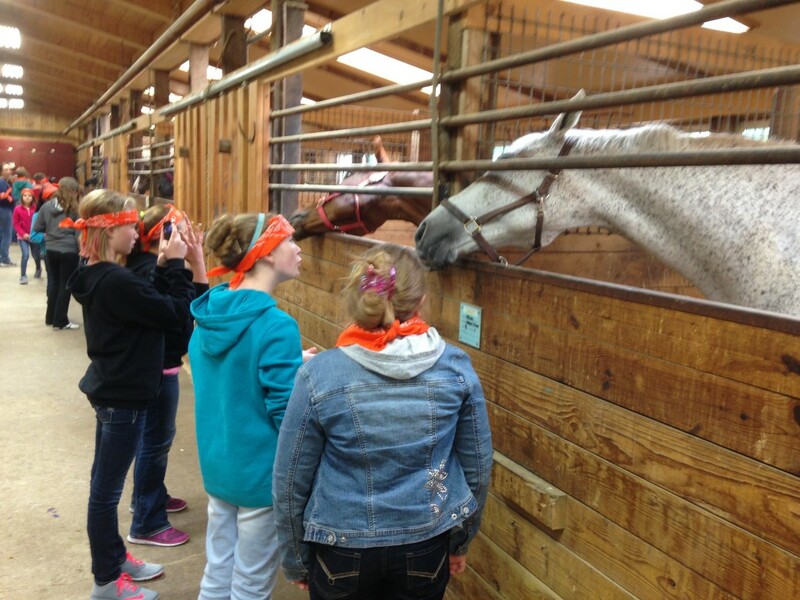 We learned about the horses and some of us even fed them carrots. We ended the afternoon with ice cream sandwiches. A special thanks to Kerry, Melanie, and the entire Ponca Hills team, for all their hard work and for making our day marvelous. Thank you also to our parent volunteers and a great big thanks to Jan Mactier Moriarty and Ann Mactier the owners of Ponca Hills and current Phoenix Academy board members for their hospitality. Ann and Patti Clark started Phoenix Academy 25 years ago. Thanks Ann! 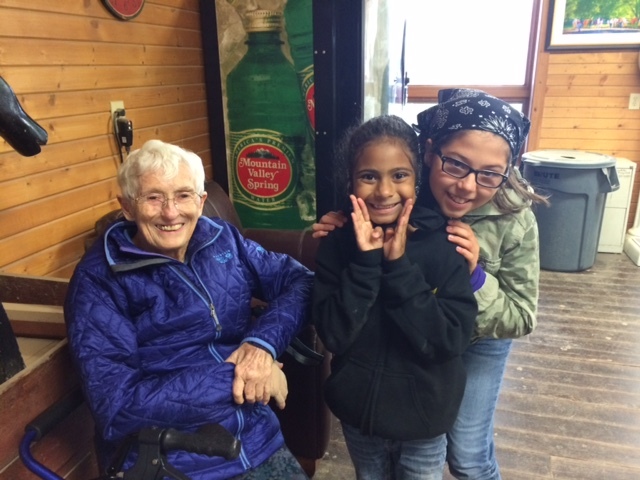 Ann and Jan continue to support Phoenix Academy in many, many ways. We thank you! Posted in General, News, School and tagged Field Trip, Students.